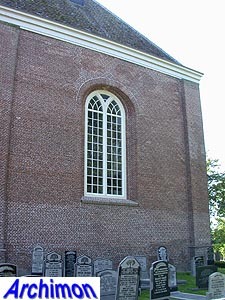 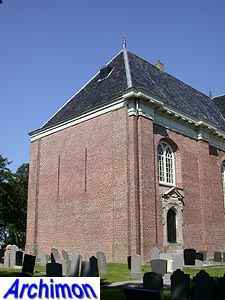 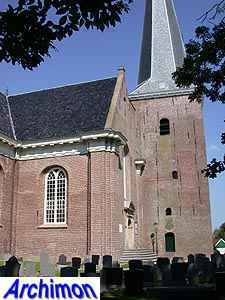 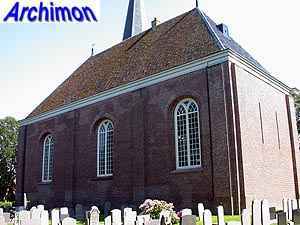 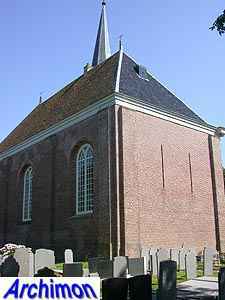 The reformed church of Holwerd was built in 1776 and replaced a medieval church. 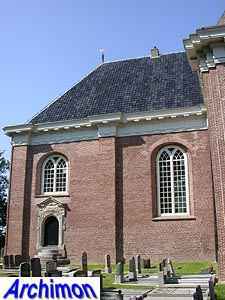 An old drawing, dated 1723, gives an impression of this predecessor: a one-aisled building with a Romanesque choir and a nave with Gothic windows. 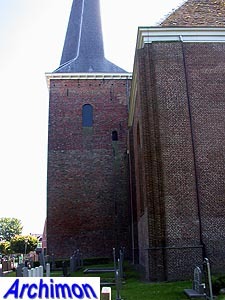 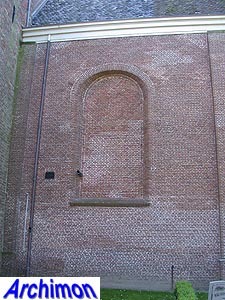 A distance of a few metres lied between the front of the nave and the tower. 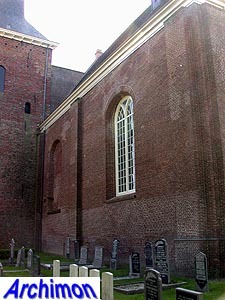 This old church was demolished in 1776 and replaced by the current building, which was completed in 1778. 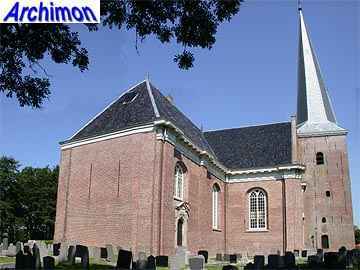 It's a building in Classical style and has a remarkable centralizing L-shaped ground-plan. 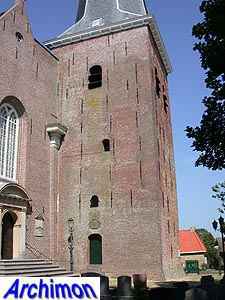 The 13th-century tower was incorporated, although not without some changes. 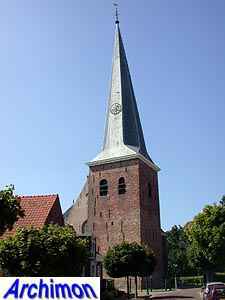 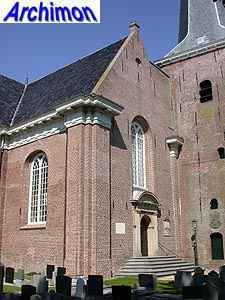 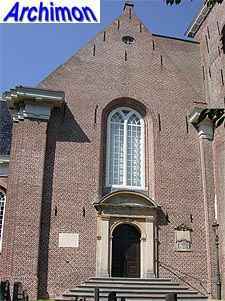 The church was designed by Willem Douwes, town-architect of Harlingen, who had previously designed the reformed church in his hometown.